While we've seen this in our inbox before, somehow, we neglected to share it. In support of the U.K.'s Leukaemia Research efforts, RefuseALunch taunts marketing folks into donating by first, in jest, of course, announcing, "All Marketing People Are Scum," then quickly recanting to, "All Marketing People Are Not Scum." 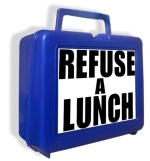 The effort encourages people to, during the month of October, refuse lunch invitations and ask that the money that would have been spent on lunch be donated to the cause. Worthy enough. After all, most business lunches are just boondoggle excuses to spend the company's expense account fund. 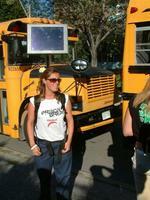 Canada's Global Television is promoting the show Prison Break by hiring women to walk around outside football games wearing prison break T-shirts and flat-scree TV's atop their heads. As Jodster praises the promotion writing, "All I could think of was the potential for women to rid themselves of the manly instinct to stare at breasts." Well done, indeed. 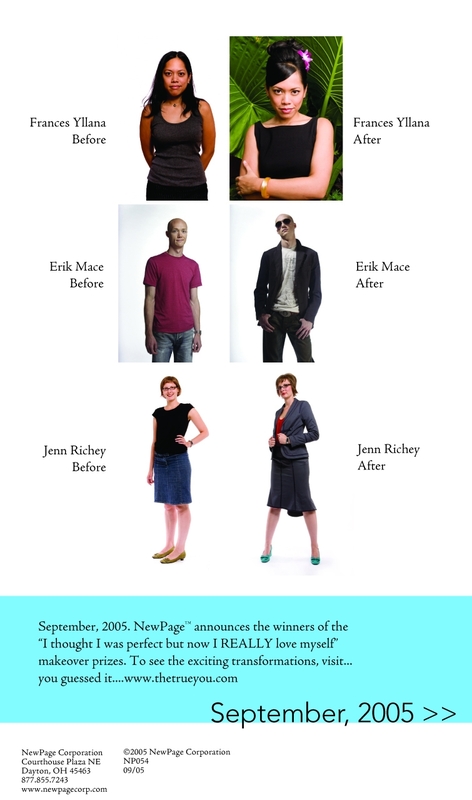 NewPage Corporation, today unveiled the winners of its TheTrueYou makeover contest in which contestants were given wardrobe makeovers. 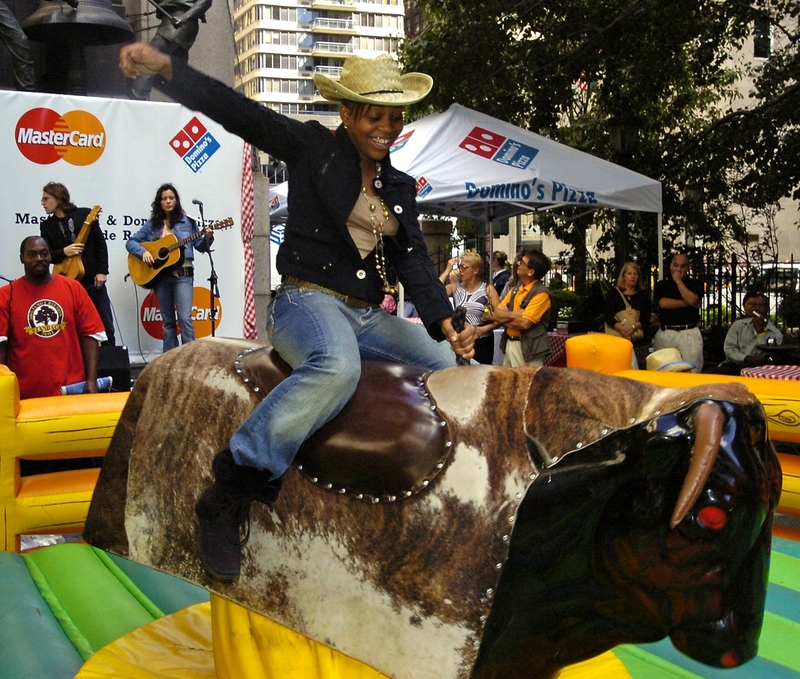 Out of 1,000 entrants, three were chosen: Erik Mace, Chicago; Frances Yllana, Dallas; and Jenn Richey, New York City. Each were given a complete wardrobe makeover: from regular hip guy to rock star, from fresh faced girl to forties femme fatale, and from cutie to 1950s kitschy. See the other before and afters here. It's official. Countdown sites are now a trend. This time, it's Jaguar who is insisting we watch their clock, maddeningly anticipating the launch of...well...something. The site is called Where Did Gorgeous Go, which, we're sure, in two days, 12 hours, forty-three minutes, Jaguar will tell us it hasn't gone anywhere. It's right here before our very eyes in the form of a new car model...and some travel specials. Oh, and of course there's hot babes involved too. Lizzie Grubman Public Relations, headed by the PR queen who, in reverse, ran over 16 people with her Mercedes SUV a while back, has, believe it or not, been hired by Range Rover to promote its new Sport SUV. How quickly people forget. The New York Post reports Grubman's company is hosting an event at Hamilton Horse Farms in New Jersey where celebu-fluentials have been invited to check out the new vehicle. One invitee was a bit shocked at the brand's choice of representation saying, "It's almost as if O.J. Simpson was doing ads for knives." 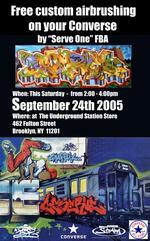 At a promotional event tomorrow, Saturday September 24, graffiti artists Serve One FBA and Chino B.Y.I. 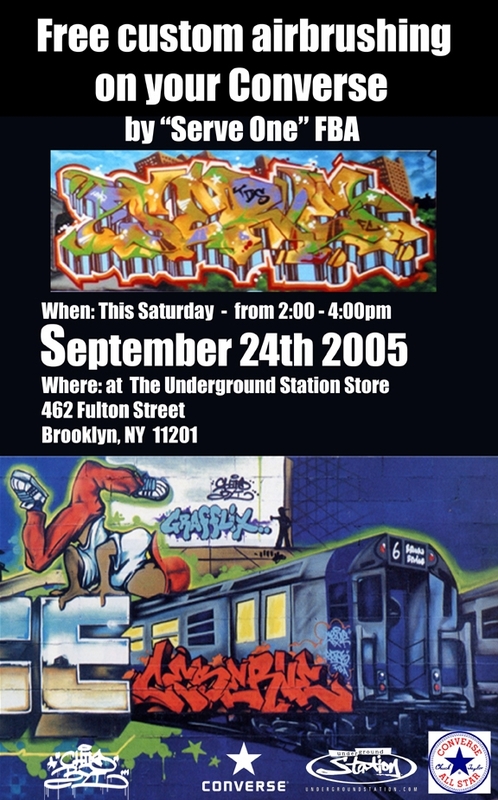 will do custom airbrushing on Converse sneakers free for anyone who purchases a pair between 2 and 4 PM at the Underground Station store in Brooklyn, New York. "4. Finish registration by completing your profile, taking a fun free style test. Completing any qualifying purchase of or more at Glam.com merchants and return a copy of your receipt with your redemption form. That's it!" No mention of $100. So now I've aggravated a bunch a people - for which I am truly sorry. In fairness to Glam, in an explanatory email to one friend who asked Glam for clarification, Glam responded, "We ran a limited-time offer to kick things off, and gave away our initial allotment of iPod Nanos in two days. By adding a qualifying purchase requirement, we can keep the fun going and reward shoppers who give Glam.com a try." Fine, in the future, Glam, just remember to modify all your promo pages so that not-so-small details like this are clearly explained. 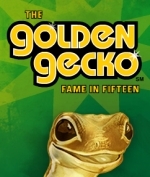 Jumping on the consumer-generated media trendlet, Geico has launched Golden Gecko, a contest in which people can submit 15 second movie trailers featuring the Geico Gecko. Geico isn't calling them commercials but the rules state all submissions become the property of Geico so it wouldn't be surprising if a winning entry did become a commercial. Prizes range from a $5,000 grand prize which includes lots of electronic gadgetry an a 7-day stay in Hawaii to $2,000 first prize which includes a stay at the winners choice of four lesser locations to second and third prizes which involve wide screen TVs and portable DVD players. We know there's a few restless creative in our midst who could used a nice trip to Hawaii so dig out those precious, brilliant concepts that were horrifically killed by the client and re-tool them for Geico. And win. Having fun with the whole metrosexual trendlet, Virgin Atlantic Airways announced that nominations for its ongoing Jetrosexual Awards will close this Friday, September 16. Apparently, hundreds of people have nominated their metro/jetrosexual friends since the program launched in June. The program seeks the ultimate Boston and Washington D.C. area entrepreneur and will award the Bostonian and DCist that best personifies the Jetrosexual spirit. Virgin Atlantis says the awards celebrate a "new emerging business culture lead by a growing group of Jetrosexuals, those high fliers who move business and culture forward each and every day." The nomination site includes a list of 11 Jetrosexual Commandments including "Thou shalt be able to order a beer in at least six different languages" and "Thou shalt respect the five minute rule when using the lavatory." Local semi-finalists will be announced on September 30, 2005, be reviewed by a selection committee with final awards announced October 17, 2005. The winner will enjoy a high flying, Virgin Atlantic Upper Class experience to London.